Bolton's Children's Opportunity Group (COG) is known throughout the local community for doing excellent work with children affected by learning disabilities and physical ailments. As a registered charity, they rely on generous donations and fund-raising, and Cake Delight have been doing their part. Cake Delight celebrate one year as a business on the 24th of March, and owners Emma and Michelle decided that they would use the occasion to raise money for a good cause. Emma's twins regularly attend COG, so what better way to give back than using their standing in the local community to raise some much needed funding. Initially, Cake Delight set a lofty total of £1,000, hoping to make that much by the time the 24th of March came around. However, they have been overwhelmed by support, and have not just smashed that £1,000 target, but also their revised £1,500 target. So, with a new target in mind of £2,000, there is still time to donate to what is an excellent cause. COG is an invaluable resource for those in the same position Emma finds hersself in. It not only provides a stepping stone between home and nursery, but has since become a leader in the field of inclusive provision for under 5's. It gives parents a chance to meet and provide mutual help, provides transport to those who otherwise wouldn't be able to make it, and has input from Speech and Physiotherapists, Health Visitors, Social Workers and Educational Psychologists. 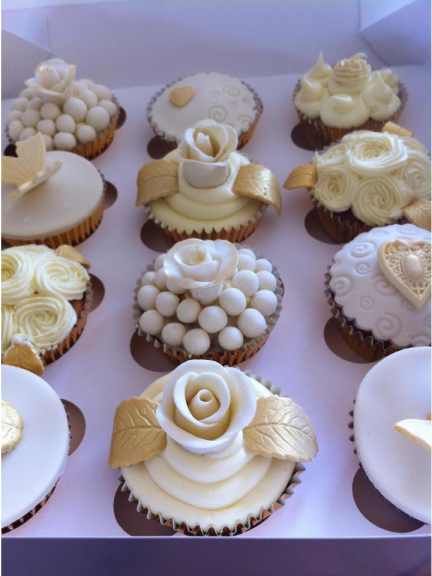 Based in Bolton, Cake Delight is a family run business that designs and creates amazing cakes and cupcakes, from simple and colourful children's designs to elaborate wedding cakes.